A Chapel of Ease is built away from the main church for parishioners “ease,” when they are not able to attend the main church regularly. 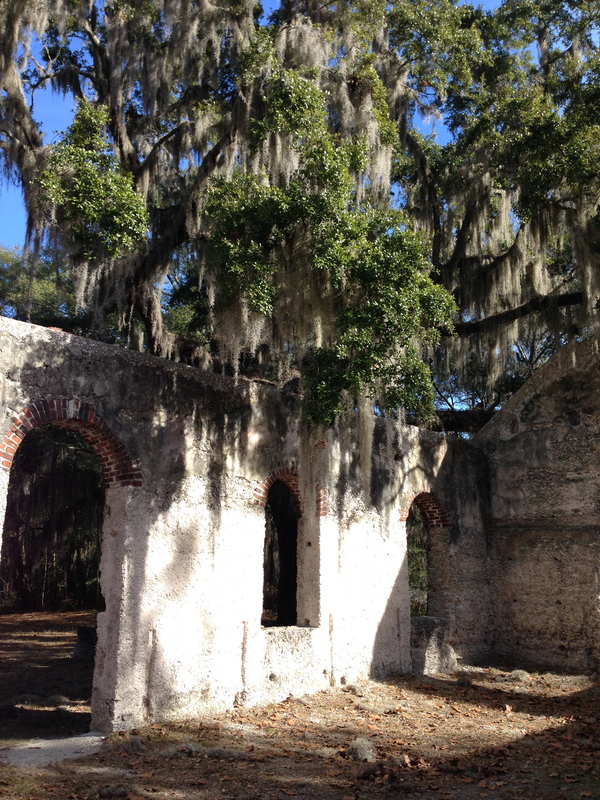 Situated on the remote St. Helena’s Island, this Chapel of Ease, built in the 1740s by planters, is in ruins, destroyed by a forest fire in 1886. The further I drove on Land’s End Road from Island Parkway the narrower it became and the closer the trees. 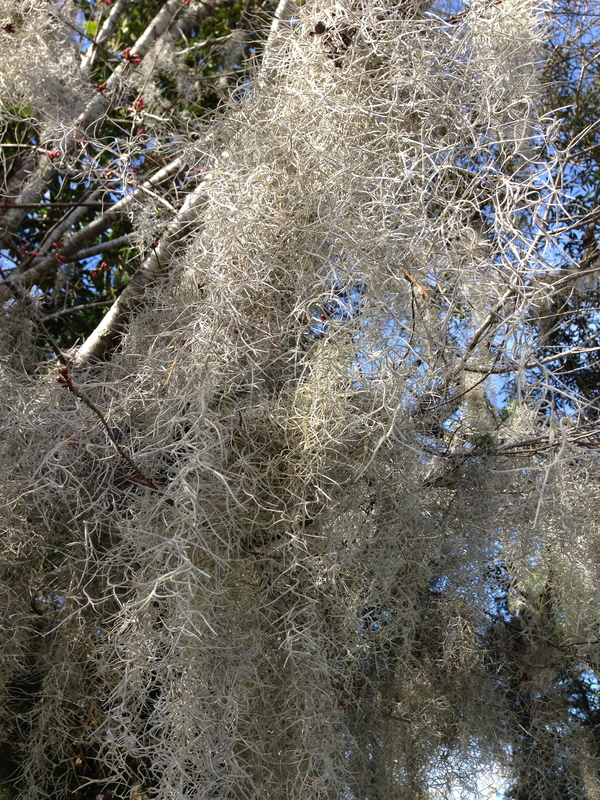 Shrouded in live oaks draped with Spanish moss, I almost did not see it. Others had arrived before I did and after they left I was alone with the remains of the chapel and people from the past. 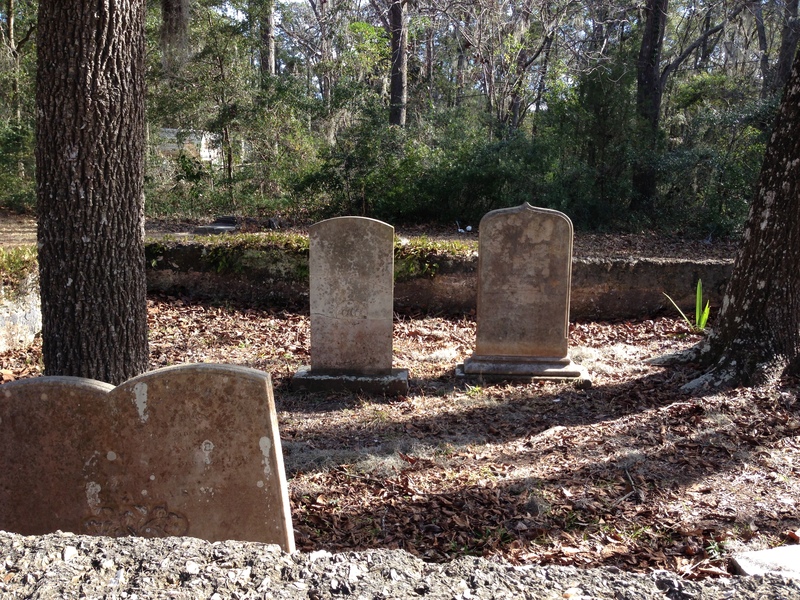 Three small areas were marked off with short stonewalls and wrought iron, grave markers inside. Are these ancestors remembered? Were the trees growing behind the markers growing through rib cages, through hearts? As I walked back to my car black buzzards were flying overhead seeking new charnel grounds for their sustenance. I remember when I read “Gone With the Wind” for the first time. The Doobie Brothers song “Black Water” was playing on the radio. My baby blue transistor would be tuned to CKRC out of Winnipeg and I relished it when that song would play. Even though the song was not really about this part of the south, it was my soundtrack to “Gone With the Wind” and to the South. I feel like I have entered a foreign country previously only existing in a song, a book or my mind. Walking around a former plantation’s gardens, historic antebellum and federalist homes and through streets with houses built in the 1700 and 1800s has challenged me to look at my Northern “truth.” Nonfictional, not fictional people lived here, believed in their cause, experienced all human emotions, and tried to make their mark. The anthropologist in me knows cultural relativity trumps “truth” and this is an opportunity to examine my judgment. 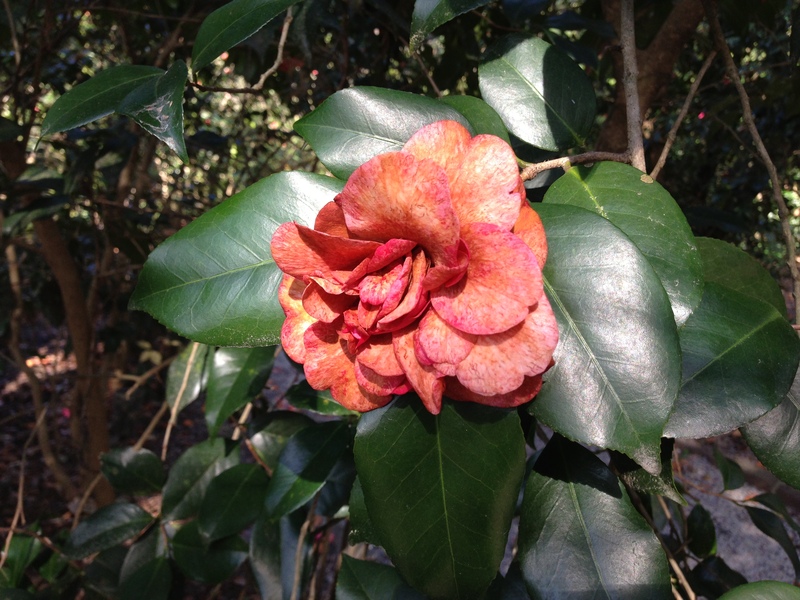 At Magnolia Plantation and Gardens the land and its ability to produce abundance and beauty is not only remembered through stories, but what the gardens still produce – camellias of all varieties blooming now and azaleas soon to bloom. Growing up on a farm, I can relate to land and what it produces. I can also relate to making things, creating something from nothing but your idea, curiosity, and community need. 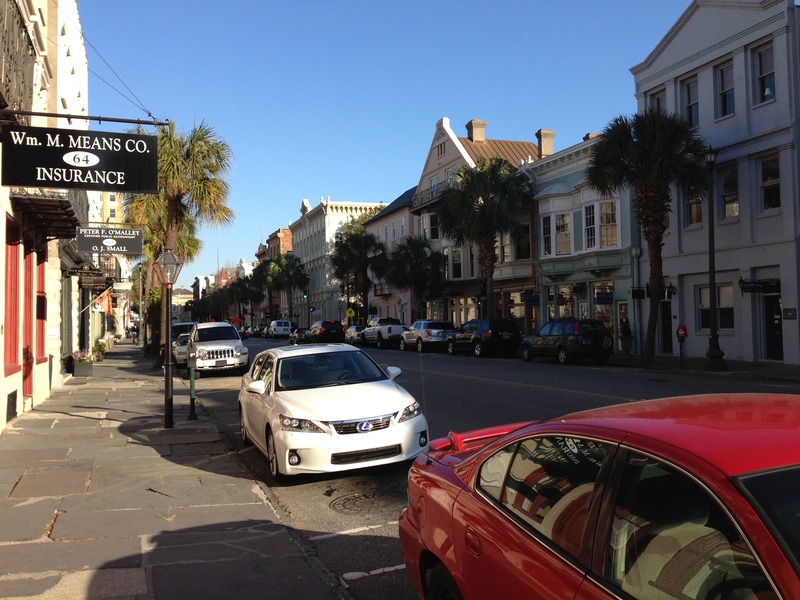 Charleston grew from the creativity of those who first arrived and then blossomed with rice and cotton production, but also with specialized craft of wrought iron, furniture and cabinetry and much more. It is still creating today. 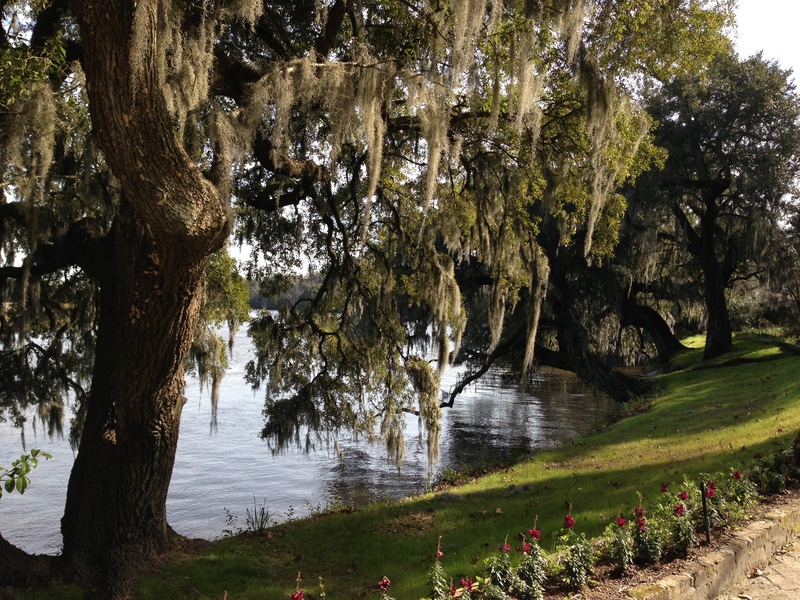 The back yard at Aiken-Rhett House. Hurricane Hugo in 1989 blew the roof off the house, then rained into the house for days. 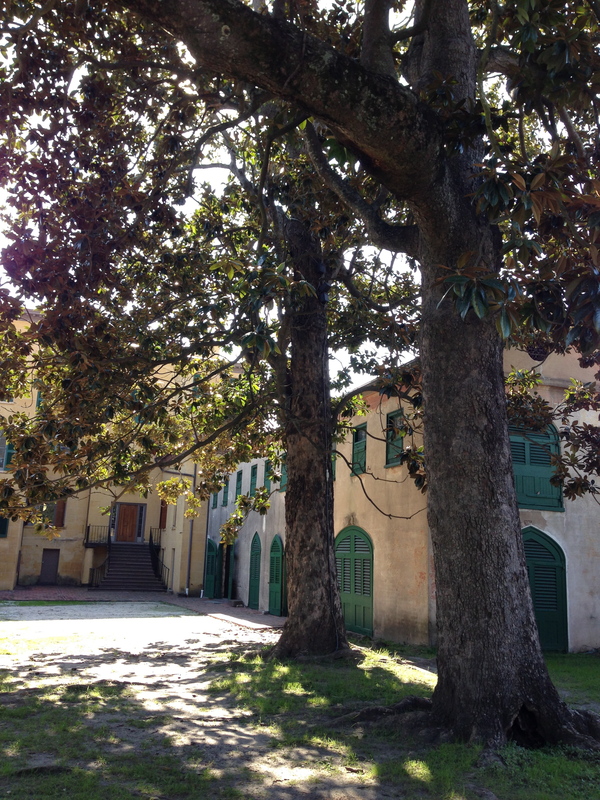 The stable and carriage house are on the right. My tour of the Aiken-Rhett house in Charleston yielded more empathy for those who really made the system work – the slaves. Walking through where they worked, slept, and lived; comparing it to where their owners worked, slept, and lived is like touring concentration camps in Germany. 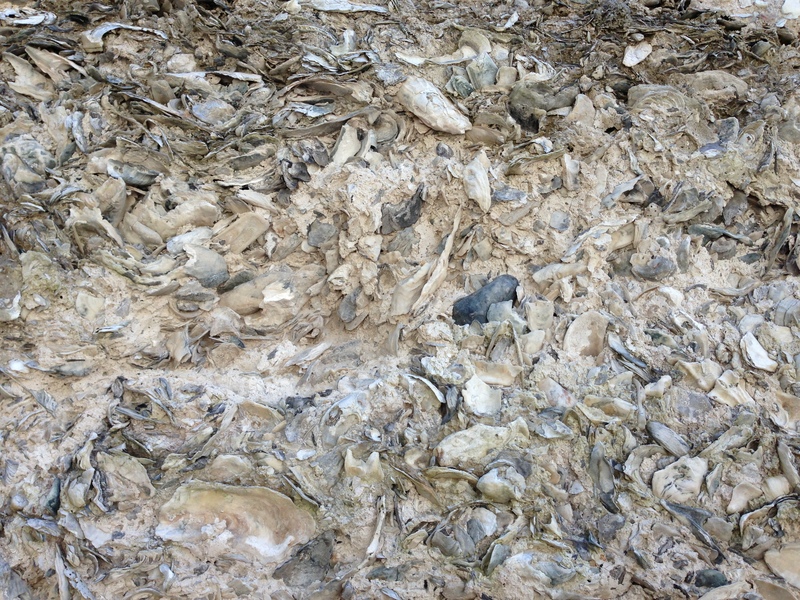 It also yielded a wonderful “I love Charleston” conversation with Ned Hartley, a Tour Guide there. He has lived here 30 years and watched the downtown area blossom. It was fun to visit and I am grateful for his insights about the city, promising areas, and experience here. He writes a blog at redcrapemyrtle.blogspot to float his ideas about art as he works on a series of essays. Good luck Ned! If I become a Charlestonian, we will meet again. The minute you walked in the door at the Aiken-Rhett House I knew we were going to have a conversation. Glad to hear you are moving to Charleston. You will love her, and I know she will love you.